Play the FREE IGT Pokie Lil' Lady Here: One of the best slot games ever. The Lil’ Lady Game has become a very popular online slot game for IGT pokies lovers. It is a 5 reel slot game that has 40 pay lines. The symbols featured on the reel are the Lil’ Lady, the romantic Love bug, mushrooms, flowers and poker cards that match the theme of the game. It is a creation of one of the most popular slot makers aka – IGT. The wild symbol that can be placed instead of all the other symbols except scatter is the Dotted lady bug. The scatter is represented by a bonus symbol. When the Dotted lady bug is stacked it increases the chances of triggering multiple wins. 5 wilds on the wagered line gets you one thousand times what is on the line for both free spins and base play. The bonus symbol which appears only on reel 2, 3 and 4 can get you a two times multiplier if it appears thrice. The highest scatter win is the only one awarded. In the Lil’ Lady Game you can get up to a maximum of 255 free spins. Getting three bonus symbols also triggers 5 starter free spins. The more bonus symbols on reel 2, 3 and 4 will get you another five free spins and the scatter pay. Free spins come with extra stacked wilds and more bonus symbols hence increasing your chances of more wins. 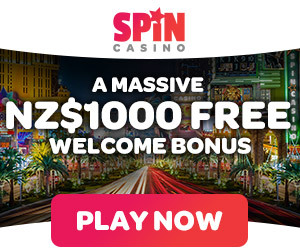 The bonus round ends when one wins 225 free spins or when all the free spins are used. To increase your chances of winning play on all the 40 lines that are provided. The line wins are all multiplied by the line bets. One needs only a coin to start this game. The Lil’ Lady Game pays well during base play and the pay in the bonus round is very good. The game has low medium variance with many little regular pays. The music that plays during play is another great feature of this pokies game. When you hit the bonus the music that plays will make you want to hit it again just to experience that again. The sound effects bring the mood of the moment and will surely get you in the mood. The featured symbols are also very cute making this game an interesting slot to play overall. With the wide betting range, great winning odds, the great music and sound effect and the low limits, this is a fun easy and interesting online Slot game that will surely entertain anyone.